Earl, she is a Girl ... and was hand raised, fell out of her nest at a very early age. Such a cute little white fluffy chick, but she grew up fast. And her caretakers decided to set her free, and there she was, stealing hot dogs from the little kids, and landing into little girls hair, not meaning any harm, but she didn't know any better. Maybe a five mile radius. 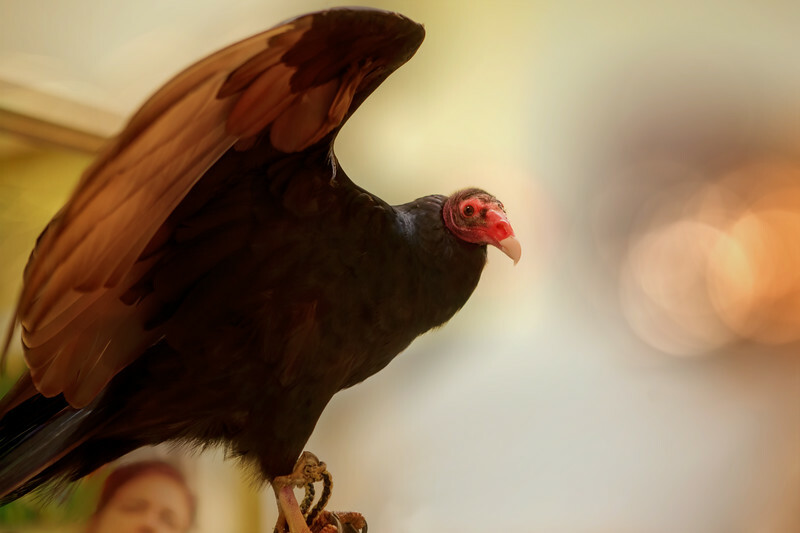 No sense of what a real turkey vulture should do. How to behave, and then she laid the egg, and it turned out Earl was a girl. So Raptor, Inc. rescue took her in. Now she is 32 yrs. old and such a sweetheart.